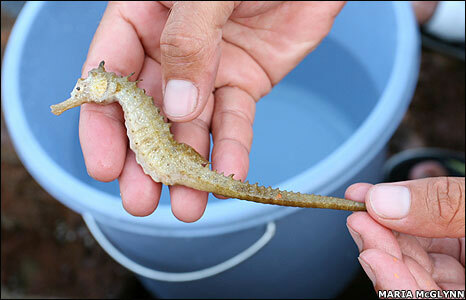 Conservationists are concerned about the long-term survival of seahorses because the creatures live among coral reefs, seagrass beds and mangroves, which are among the most threatened habitats on the planet. Project Hippocampus, based in Mar Menor, south-east Spain, has been running a programme for two years to identify and tag seahorses in an attempt to learn more about the creatures’ movements and behaviour. 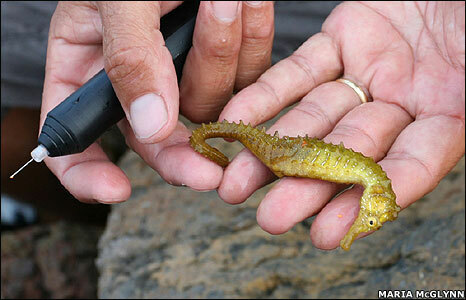 The tagging of seahorses is a delicate process because they have rigid bodies, prehensile tails and small fins. The researchers have developed a novel technique that allows them to tag the creatures without the need for risky continual adjustments. 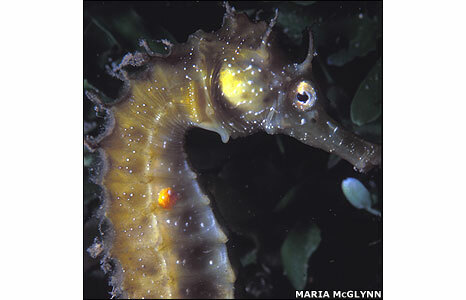 The team uses Visible Implant Fluorescent Elastomer (VIFE), a fluorescent polymer that is biologically compatible with seahorses. 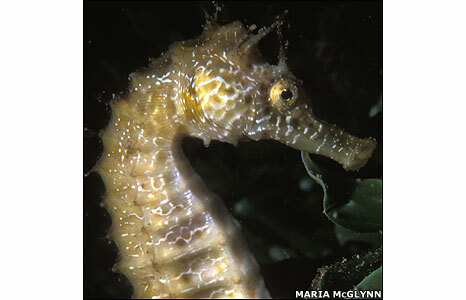 The liquid is injected under the skin in a position unique to each seahorse, allowing the team to identify individuals. 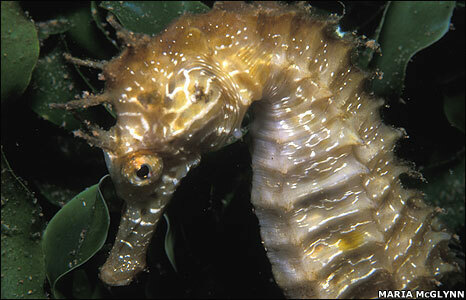 The elastomer forms a solid visible mark, seen here in the middle of the seahorse’s back. The marker, which becomes fluorescent under a blue light, comes in a variety of colours. 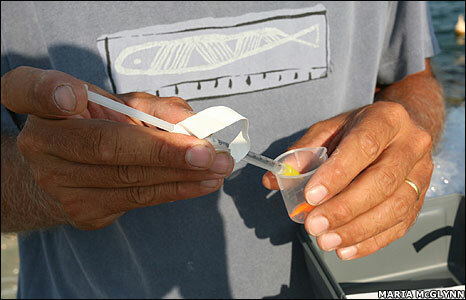 In this case, the researcher used an orange elastomer.